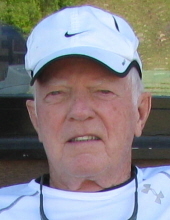 Robert Douglas (Bob) Kerr was born January 4, 1931, and despite a 10-year well-fought battle with cancer passed away surrounded by love ones on April 1, 2019. Bob was born in Mingo Junction, Ohio, to parents Cora Mae and Robert Kerr. Both parents were deceased when Bob and his brother Don were very young, so they were raised in the loving home of their maternal grandparents, Blanche and Don Jeffries. Bob proudly served his country in both the U.S. Cost Guard in 1948-1950 and the U.S. Air Force 1951-1954, at Kelly Air Force Base in San Antonio, Texas. During this time, he became proficient in Morse Code and often remarked that he never forgot it. After being discharged, he began a thirty-year career with the Federal Aviation Agency in Air Traffic Control before retiring in 1986. Some of the greatest joys of his career were time spent with the U.S. State Department serving two years in Karachi, Pakistan, and three years in Bangkok, Thailand. April Sound in Montgomery, Texas, has been his home since 1978. He loved living there because it afforded him easy access to two of his greatest passions: tennis and fishing! He developed many lasting friendships over the tennis nets and when he could no longer play the game, his friends remained his devoted companions. He also enjoyed traveling to just about anywhere at a time! But his greatest joy of all was his family and spending every minute he could with each and every one of them. Bob was preceded in death by his parents, grandparents and brother. Those left to celebrate his memory and a life well lived are his loving and devoted wife of 30 years, Trish Kerr; former wife of 26 years and best family friend, Harriet Kerr; son Michael Kerr and wife Dee of Temple, Texas; son Robert Kerr, Jr. and wife Kim of Montgomery, Texas; daughter Kate Mahan and husband Drew Newton of The Woodlands, Texas; daughter Anne Mahan and her fiancé Kasey Sandlin of Austin, Texas; granddaughter Courtney Kerr Kilgo and husband Kyle; granddaughter Ella Newton; grandsons Michael Kerr Jr. and Colton Kerr; sister-in-law Lois Kerr, nephews Scott Kerr and Steve Kerr and niece Donna Anderson and their families, and a host of much-loved family friends who stayed by his side to help nurse and support him in his final days. In lieu of flowers, please consider a donation to the April Sound Youth Summer Tennis Camp in Bob’s name, or another charity of your choice. A private military service will be held at Houston National Cemetery at a later date. To send flowers or a remembrance gift to the family of ROBERT DOUGLAS KERR, please visit our Tribute Store. "Email Address" would like to share the life celebration of ROBERT DOUGLAS KERR. Click on the "link" to go to share a favorite memory or leave a condolence message for the family.